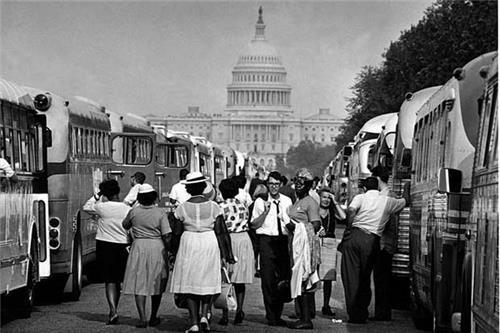 U.S. News & World Report's liveblog will chronicle the commemoration and celebration of the historic March On Washington, which occurred 50 years ago on August 28, 1963. D.C. Mayor Vincent Gray making the case for congressional voting rights for D.C. residents during his chance to address the mall. "Make every American free, especially those who live in the District of Columbia, our capital!" Gray says. Republican National Committee chairman Reince Priebus releases statement on today's events - "“Marchers came to Washington to claim their right to the American Dream, and we can’t rest until that dream is in reach for every American. An anniversary like this isn’t just a call to remembrance; it’s a call to action. 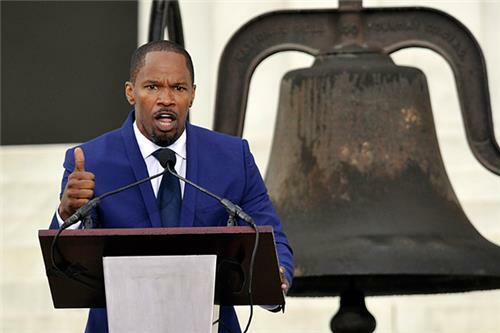 And we should continue to draw inspiration from the words that echoed across the National Mall and around the country in 1963." 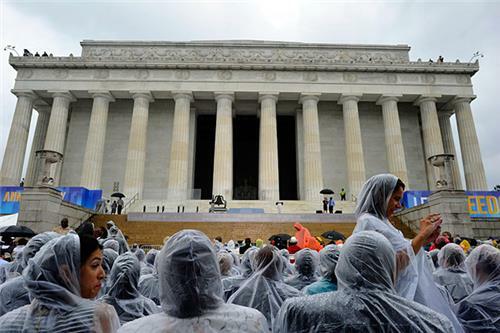 Another view of the poncho-clad crowd in front of the Lincoln Memorial. 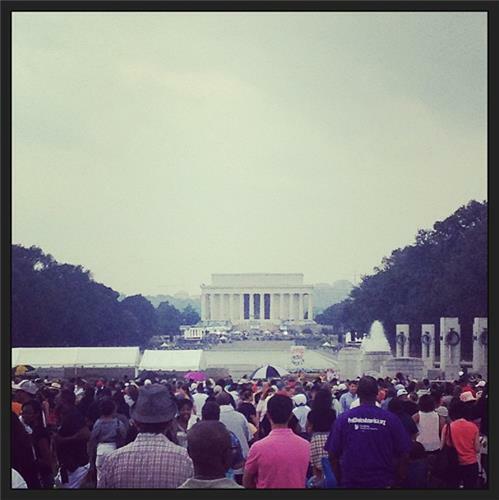 The Winans - BeBe, Marvin and Carvin - are currently performing as the 50th anniversary of the March on Washington events carry into the final portion. Still to speak are Oprah Winfrey, Rep. John Lewis of Georgia, former Presidents Jimmy Carter and Bill Clinton, the King children, and President Barack Obama. 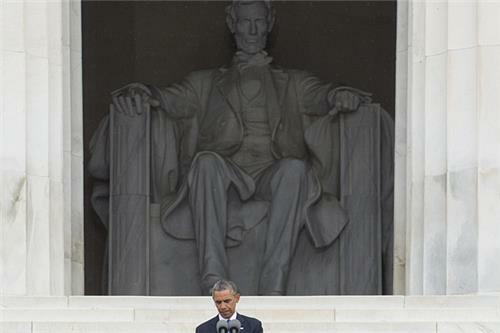 President Barack Obama speaks in front of the Lincoln Memorial. Obama making heavy economic equality pitch, fairly political in nature now. "They were there seeking jobs as well as justice," he says of marchers 50 years ago.